M-commerce has revolutionized not just the way we do business but also the way we shop on an everyday basis. Conventional ‘mom-and-pop’ stores as well as established stores around the world are facing the heat as customers choose their online counterparts over them. Retailers have realized the importance of data in order to customize purchase experiences. 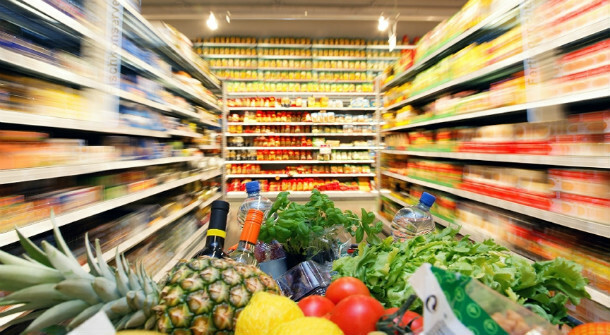 Customer analytics will play a big role in store planning processes. Specifically, stores will be able to analyze footfalls and make better decisions about new products, their pricing and demand forecasting. Mobile apps will act as facilitators and enable merchants to gain insights into the shopping habits of their top customers. Innovations in the mobile technology space are also affecting the way retailers position themselves to deal with competition. Beacons (sensing devices that are integrated throughout a store’s digital touch-points such as passages, product exhibits and shelves) will increasingly be adopted in the coming year. They will aid retailers in individualizing buyer experiences according to Forbes. Merchants have tried to use mobile devices in their brick and mortar outlets. Apple supplies a ‘checkout anywhere’ option in Apple stores through an app that allows shoppers to directly buy small items using it. Luxury brand Kate Spade has created a ‘shopping window’ at its NYC store through which buyers can browse and purchase items without stepping inside. As technology develops and smartphone use multiplies, businesses will find it necessary to develop attractive retail apps to compete in the market. The introduction of virtual shopping assistants and Augmented Reality to try out products through the mobile app, are just round the corner. Retail marketing has always emphasized the importance of rewards and loyalty programs. App features that let users earn and redeem rewards using their phones at retail stores will gain popularity. One such example is Target’s Cartwheel app that helps its customers “save on items currently bought”. According to Target, the app has saved users $65+ million in purchases. Designing a smooth and uncomplicated customer experience on a mobile app will assist businesses stay competitive and improve their brand loyalty. 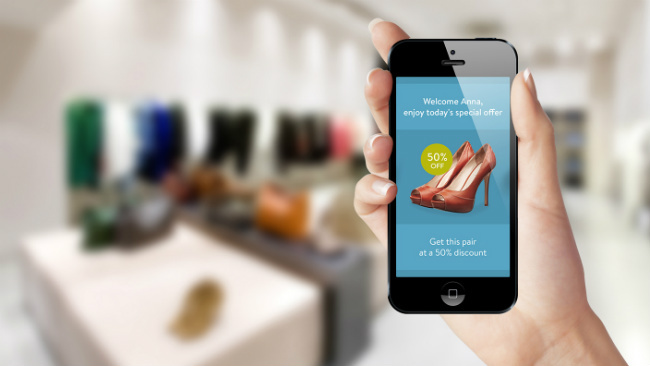 We talked about the increasing use of beacons inside the retail stores. Location-based technology can also provide a very different brick-and-mortar experience. It can help pin-point the precise location in a store where a certain item can be found. Location based mobile apps can now deliver relevant information to shoppers and also send them coupons/special offers. This facilitates not just the customers but also helps merchants in designing the best ‘package’ to attract them. US retail giants such as Walmart and Macys have been pioneers in adoption of using technology to create the right message for the right customer at a right time and place. The retail industry is on the brink of another ‘techvolution’. Smarter phones, novel payment methods and greater online/offline adoption is setting the changing the way we consume. It is imperative for retailers to have an omnichannel presence in order to beat competition. Rishabh Software can provide your organization with a ready to market retail solution. 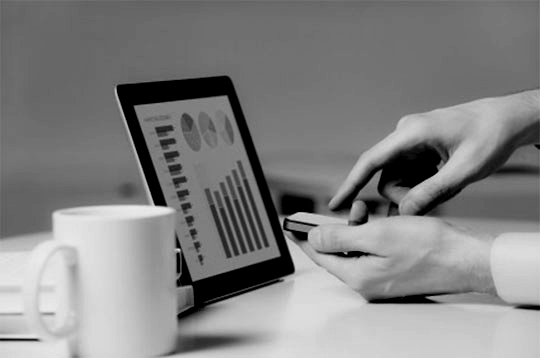 We understand the need to leverage mobile technology to remain profitable. Are you looking for a technology partner who can help your retail store stay ahead of the competition?